St John's Smith Square has announced its 2017/18 programme with a mix of new and old, young artists and established favourites. The Christmas Festival returns for the 32nd festival which will include performances from Vox Luminis, Ex Cathedra, Solomon's Knot and many other favourites. David Titterington will be performing all of Bach's organ works, and there is a series of Bach in Advent free recitals at 6pm. New in 2017, the Holy Week Festival returns in 2018 combining ticketed concerts with free events including Nigel Short and Tenebrae's series of late-night Tenebrae services. The London Festival of Baroque Music is the 34th festival and it will have a French theme celebrating the 350th anniversary of the birth of Couperin, with guest artistic director Sébastien Daucé who will be bringing his own Ensemble Correspondances for a staged setting of Charpentier’s Histoires sacrèes. The Brook Street Band lead a weekend Festival in February 2018 exploring the varied musical styles that informed and shaped the composer Georg Muffat, including chamber and orchestral music by Bach and Handel. Also in February, the Principal Sound Festival returns with a focus on the music of Luigi Nono alongside works by Rebecca Saunders, György Kurtág, Claudia Molitor and Morton Feldman. Throughout 2018, Americana ’18 celebrates music from America in a series of concerts curated by the conductor David Wordsworth, including a celebration of Stephen Montague’s 75th birthday, there will be a whole day of events, stretching for 13 hours (to represent the 13 stripes of the Stars and Stripes flag) on Independence Day. Other events include the Carducci Quartet in Philip Glass and the complete chamber version of Copland's Appalachian Spring performed by Orchestra Nova. Bampton Classical Opera returns with Salieri's The School of Jealousy, a work that almost certainly inspired Da Ponte and Mozart to create Cosi fan tutte. Bampton also give a programme illustrating the life of the legendary singer Nancy Storace marking the bicentenary of her death. 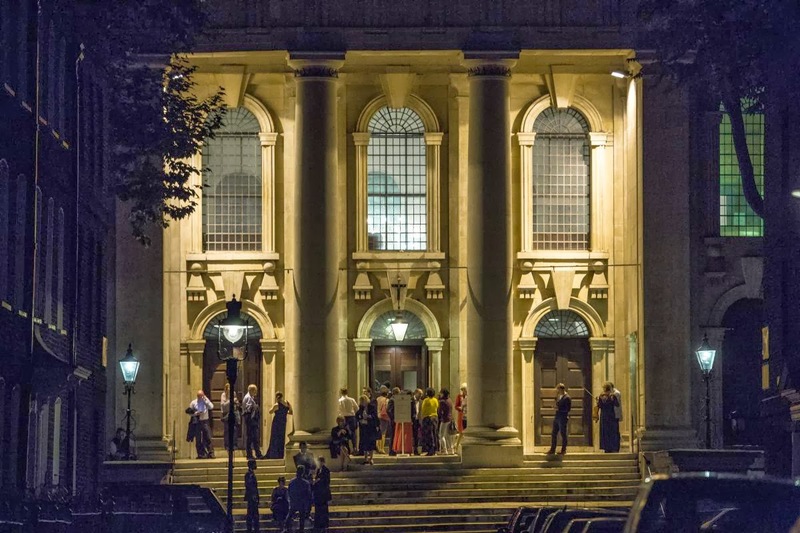 In October St John’s Smith Square hosts the final of The Voice of Black Opera Competition featuring six young singers accompanied by the City of London Sinfonia , conducted by Kwamé Ryan. Irish Heritage Opera visit in April 2018 to celebrate 44 years of bringing Irish operatic talent to the stage. La Nuova Musica perform Handel’s Orlando in February, the start of an annual cycle of Handel operas at St John’s Smith Square. In April, Christian Curnyn and the Early Opera Company perform Handel's Giulio Cesare and during the London Festival of Baroque Music La Nuova Musica return with Iestyn Davies in the title role of Gluck’s Orfeo. St John’s Smith Square's Young Artists’ Scheme at enters a fifth season with three extraordinary talents. The Bukolika Piano Trio present music by Boulanger, Hanna Kulenty, Messiaen, Górecki and Panufnik alongside more familiar works by Beethoven and Dvořák; the violinist Mathilde Milwidsky performs music by Arvo Pärt, Janáček, Clara Schumann, Grieg and Richard Strauss, while the piano and percussion duo of Siwan Rhys and George Barton offer programmes including music by Vinko Globokar, Kagel, Cage, Feldman and Sir Harrison Birtwistle. All three Young Artists will be showcased as part of a special concert within Open House London.